Usually this time of year I spend a lot of my evenings looking at all the the amazing holiday ideas out in the Blogosphere. However, the last three weeks have been overloaded with packing, cleaning, moving and unpacking. We even had our first guests come to stay with us last weekend. The only Christmas blogging I've kept up with is Sweet Paul and My Sister's Suitcase. I'm just glad I had my gifts done last month or I would be so behind. It's going to be a low key Christmas season this year. I did come across one idea I wanted to try with my kids during these cold days. 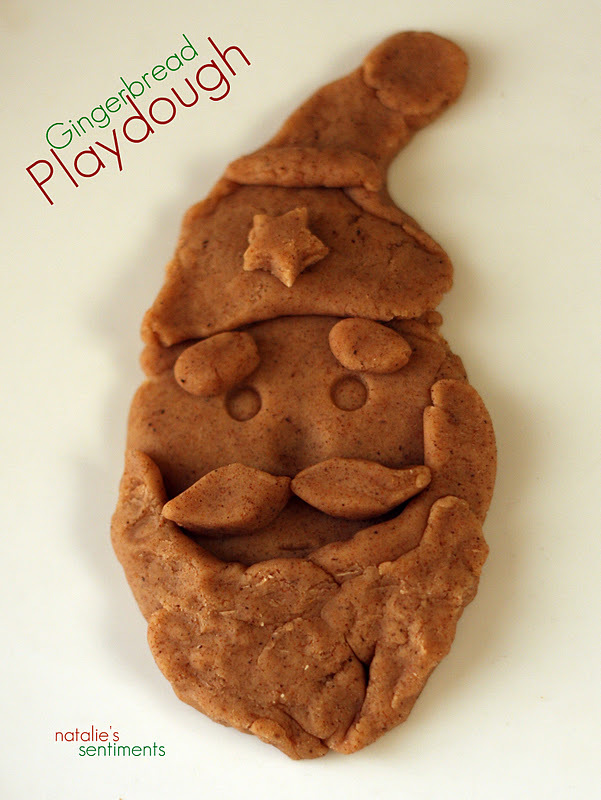 Sugerbella posted about Gingerbread Playdough and it looked perfect. 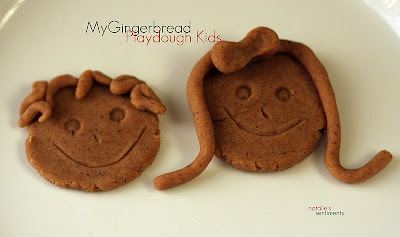 My kids love playdough, especially when I sit down with them to play. The dough isn't edible, but it smells amazing and works great. I think we will make this a new tradition. Very Christmasy. Collin requested a Santa. He thought the mustache looked like two birds kissing. Lydia wanted a surprise, so I told her I would make my favorite things in the world. Love this! I'll have to try it. Did your kids try to eat it? 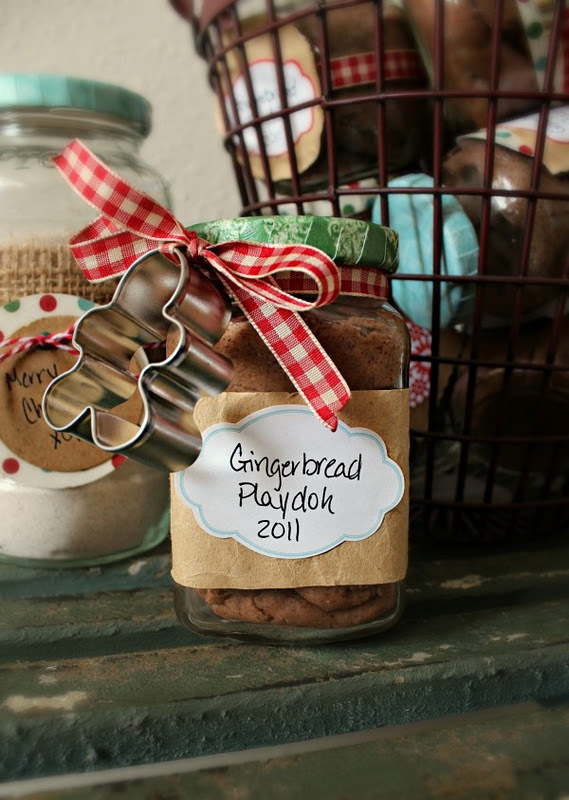 This would be perfect for my homeschooled kids. Though, I think they would be confused and nibble a bit. Yes, Collin tried it a couple times, but he figured it out soon enough.